In addition to writing children’s books, I also write and edit curriculum for all ages. One thing I love is using that expertise so that my readers can enjoy my books even more. I Pray Today is written for the littlest booklovers – babies and toddlers. But the themes and ideas are big ones. So I have pulled out those ideas and used them as the basis of lessons and activities for older children. There are lessons and activities for preschoolers to middle schoolers. Each is tailored to the understanding and interests of a particular age, but flexible enough to be used with a variety of ages. They’re easy to use, and bonus material and resources can be used to build on the lessons. And be sure to check out the lessons I wrote for Goodnight Jesus. Each month I spread a little love for some lovely books with monthly book reviews. March is women’s history month, so this month I’m sharing women’s history books that focus on something I love: STEM. Check out these real stories of amazing women all of whom pursued their passions and became experts in science, technology, engineering, or math despite all the odds. When young Temple was diagnosed with autism, doctors told her mother she would never speak or be able to fit in. They told her to send Temple away. But her mother did not give up. Neither did Temple. As she grew older, Temple found that her visual thinking and attention to detail were strengths. She revolutionized farming and found her voice as a speaker who travels the world. Katherine Johnson loved to learn and loved math. But growing up in the segregated South – she had to fight to continue pursuing her passion. Her perseverance not only let her reach her dreams, but also made spaceflight possible. This is the same Katherine Johnson who was featured in the book-turned-movie Hidden Figures, which I have recommended before. While there is a middle grade edition of Hidden Figures, I was delighted to this important story told in a picture book format for younger kids. Long before there were computers, Ada Byron Lovelace had too much imagination and love of learning to listen when people told her a woman could not be a scientist. She meets a man named Babbage with a similarly impossible dream: a thinking machine. But how to give it commands? Ada goes to work developing a code to talk to this mechanical computer. She ends up inventing computer programming before computers even existed. Joan always loved reptiles – while other girls carried around dolls, she had a pet crocodile. When all the men were called away to war, she got her chance: she got a job working with the reptiles she loved. Eventually, she became a leading expert in reptiles sharing her knowledge so the world would understand just how loveable reptiles could be. You can find more book reviews on my book review page. Welcome to my blog series on how children’s books are actually made. Last time, I explained illustration from the author’s perspective. This time, we’ll look at how the illustrator does their job. I’m not an illustrator, so I’m going to let them speak for themselves. I’ve gathered together videos and blog posts of different illustrators explaining their process. First, let’s talk about how illustrations are made and what the process of working with an editor is like. Second, we’ll cover how to get started in illustration. First up is the illustrator Lynne Chapman who has illustrated over 30 picture books. In my last post, I explained how the editor at the publishing company works as a matchmaker to pair the right illustrator with each manuscript. Lynne picks up there to explain what the process looks like from her side of the bookmaking process. An editor will contact an illustrator to see if they want to work on the project. If the illustrator agrees, they’ll start making the art. Often the illustrator will discuss the artwork ahead of time with the editor or art director. Together they will develop an overall vision or discussing what to put on each page. Sometimes not. Often the illustrators will spend time developing character sketches before making the rest of the artwork. They may make thumbnails or other rough sketches of their work. Sometimes not. But once the illustrator develops the line art, they will usually send it off to the editor to get their feedback. Illustrators don’t finalize the artwork (adding color etc.) until after everyone at the publishing house is satisfied with the line drawings. If you want to learn more about Lynne’s process, she has even more videos on her blog. Next up: Author/Illustrator Will Hillenbrand has done an amazing 70 picture books. The same is true for illustrators. While Lynne drew her illustrators by hand with physical materials (paper, pencils, paint), in this video Will is using computer software that allows him to draw on a tablet with a stylus. Notice that although the medium is different (paper vs. computer), both Lynne and Will go through a similar process: they create a rough sketch, refine it until they’re satisfied with the line art, then begin to color it in. Whatever you call it, revision really is universal. Will has a video blog series full of more nuggets you can check out. Debbie Ridpath Ohi is the author/illustrator of five picture books. She also creates cartoons about writing and reading that are on point. In this video, she shares how she created one of her cartoon images. Like Will, Debbie is creating this piece using computer software. And you can see how she refines her initial idea – trying variations, tinkering, and making adjustments until she lands on a final version she is happy with. There are more videos on her YouTube channel. Debbie’s blog is chock-full of information and goodies. Check out Debbie’s series on the creation of her picture book, Where Are My Books. Since she was the author of this book, the first parts of the series cover writing the book. The last part of the series talks about how she created the illustrations for it. While you’re at it, read her whole FAQ and you will learn a ton about illustrating, writing, and kidlit. For anyone wanting to be a children’s book illustrator, this is a burning question: how do I get editors to offer me those kinds of illustrating jobs. The Society of Children’s Book Writers and Illustrator’s (SCBWI) is the professional organization for kidlit writers and illustrators. On their page, they share a short version of the process of becoming an illustrator. But we can also revisit one of our illustrators to see what she has to say. These days, illustrators typically send portfolios to art directors, art agents, or show them at conferences like those hosted by the SCBWI. If you entice them with the quality of your work, they will contact you to discuss illustrating a book. However you get your big break, the starting point is the same: work really hard by practicing your art, perfecting your craft, and learning about the business. Joining the SCBWI is a great first step as it gives you a wealth of resources. If you missed my first post in the series, check it out below. Next time, I’ll discuss the different paths authors can take to publication in more detail. Stay tuned! Today Deb shares some of her favorite books about horses. Deb knows a thing or two about horses – she wrote the book Alexandra the Great: The Story of the Record-Breaking Filly who Ruled the Racetrack. Take it away, Deb! Many classic horse stories celebrate the magical connection between humans and horses, of course. Some of my favorites include My Friend Flicka, Misty of Chincoteague, and War Horse. But with racehorse stories, there is an added layer of human and horse joined in an effort to realize their full potential. To me, these stories have a special energy. Do You Love Sports Stories? Then give these books a try. Racehorse stories are, at their heart, sports stories. Those that excel are just as Olympian in their achievements as swimmer Michael Phelps or gymnast Simone Biles. There is the thrill of victory and the agony of defeat. There is the love and care the horse’s human handlers feel for their special horses. They communicate deeply, even if they do it without words. Granted there are also tragic tales at the racetrack, such as when a horse breaks down from a bad step, or when a jockey falls and is permanently injured. There is risk. But for every story of risk there is also the possibility of redemption. If you hesitate to read about racehorses because of the stories you hear about them being mistreated, I would say to you that those stories are aberrations. True horsemen and horsewomen do not do that to their charges. They care deeply about their horses, even more deeply in some cases than for their human connections. Not surprisingly, you will not read children’s books about those kinds of people. So, let me tell you about some of my favorite racehorse stories. One is The Big Red Horse: The Story of Secretariat and the Loyal Groom Who Loved Him, by Lawrence Scanlan (Harper Collins). Secretariat won the Triple Crown in 1973. He won the last race in the series, the Belmont, by a shattering 31 lengths and his time remains the American record for 1.5 miles on dirt more than four decades later. Scanlan does a great job showing Secretariat’s laid-back personality and his love of racing. It comes as no surprise that any true story about a horse will also tell the story of that horse’s handlers. In Scanlan’s book, we enjoy learning about Secretariat’s devoted groom, Eddie Sweat, and the special bond the two of them had. Another inspiring story is Come on Seabiscuit! by Ralph Moody (University of Nebraska Press). There have been many books written about Seabiscuit, including the highly acclaimed adult book, Seabiscuit: An American Legend, by Laura Hillenbrand, not to mention a movie. Moody’s book is targeted for upper middle grade readers and has several pencil sketches, though no photographs. One reason Seabiscuit’s story is so grand is because it is truly one of redemption. Set in the 1930s, it is a story of how the love, expertise and careful attention of trainer Tom Smith and jockey Red Pollard created a bond so wonderful that Seabiscuit changed from an ornery, nervous, injured and slow racehorse to a gentle, calm, strong champion who beat War Admiral, winner of the Triple Crown and the acknowledged champion horse of the country. Although Come on Seabiscuit is for older readers, a more recent picture book by Meghan McCarthy, Seabiscuit the Wonder Horse (Simon & Schuster Books for Young Readers) would be a great read-aloud for younger readers. McCarthy’s illustrations are delightful and she does a great job of telling the story of Seabiscuit’s match race with War Admiral. In American Pharoah: Triple Crown Champion (Aladdin), by Shelley Fraser Mickle, we learn the backstory of the 2015 Triple Crown winner, American Pharoah. Mickle tells American Pharoah’s story in such detail you can imagine being there in the stall with the even-tempered stallion. I also came away from the story with a better understanding of many of the humans connected with American Pharoah, from famous trainer, Bob Baffert, and jockey Victor Espinoza, to owner Ahmed Zayat, who I especially came to appreciate. And finally, I recently enjoyed a book about a less well-known racehorse, Northern Dancer. In 1964 he was, as the book says, “the biggest newsmaker in the country’s sporting scene.” Northern Dancer is another story of an unlikely hero. He was not a regal-looking racehorse, but more in the model of Seabiscuit: chunky, short and plain looking. Having been bred in Canada, U.S. racing fans tended to underestimate him. Gare Joyce, the author of Northern Dancer: King of the Racetrack, describes him as “a horse with a competitive spirit and a lot of heart, so he was able to outrun a great number of better bred and more imposing horses.” Who doesn’t love an underdog story?! Although all these books are about male horses, I wouldn’t want you to think there are not accomplished fillies in the racing world too. However, the surprising thing is how few children’s books there are about them. One of the few is Alexandra the Great: The True Story of the Record-Breaking Filly Who Ruled the Racetrack (Chicago Review Press), written by yours truly. Because she raced against, and beat, male horses in three major races, hers is truly a girl power story. This book is the only one of those reviewed that has full-color photographs throughout the text. If you enjoy these stories I would also recommend you watch some videos of their most famous races; these thoroughbreds are running machines! Here is Rachel Alexandra winning the Preakness. This year I’m continuing my monthly kidlit book reviews. Each month I will spread a little love for some lovely books. Usually, they will come out on the first Thursday of the month, but between holiday craziness and being on deadline, I’m already a little behind. Such is the writing life. It’s sleeting out here on the prairies today. And as much as I want to pout and stomp my feet because I do. not. like. cold, I think I have to admit defeat. So this month for my Kidlit Karma books reviews, I’m sharing winter picture books with STEM content. Because books make everything better. I have recommended Over and Under the Snow before, but it’s worth reviewing again. Children love being let in on a secret and here the secret is hiding right under the snow beneath their boots. I love the way this book weaves together a sweet story of a child with STEM facts about animals in winter. Make sure to check out the other books in the series like Up in the Garden, Down in the Dirt and Over and Under the Pond. The simple, lyrical text makes this story a good choice for even the youngest preschool scientists, but the beefy backmatter make this a good choice for older child scientists, too. The beautiful photograph illustrations invite reads to observe nature in great detail (without leaving the warmth). Be sure to check out other books in the series like Full of Fall and Raindrops Roll. This book is a delightfully detailed look at snow. How snow forms, the shapes it takes, and how you can observe them. Photographs show real snowflakes in sparkling detail. This playful romp features 100 snowmen playing as only snowmen can. Count the snowman and add them up until you get to 100. It’s nearly the end of 2018, folks. It’s been a great year for me writing-wise. I published my second board book, I Pray Today, and I had my first-ever blog tour. I revised my novel and got two new work for hire picture book contracts – six books total. I’m finishing up the fourth now and the other two will ring in the new year. I officially won the 12×12 challenge for the second year running by writing 13 new picture book drafts. I didn’t quite hit my goal to read 500 books again this year, but I’m still really happy with my total. In the past, I hit those high numbers because I read a lot of picture books, but this year I shifted my focus to more middle grade. I hit my goal of reading 75 middle grade or longer works. I got to teach classes at Purdue University on my favorite subject: writing for kids! 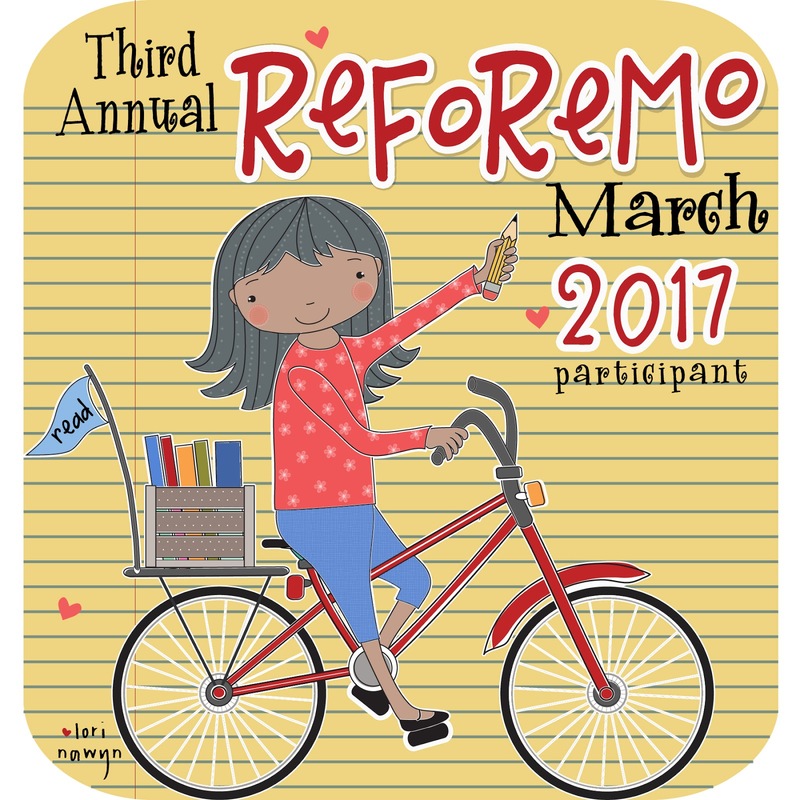 My Kidlit Karma project to blog reviews of books each month went really well! I reviewed or hosted reviews nearly every month. 2019 is already starting to fill up! My 2019 is likely to be just as busy as 2018 was. I have two more work for hire picture books to finish by the end of February, I was invited to join a small writers’ group for the first few months, and I’ll be finishing up my novel and begin querying it. It’s likely to be another roller coaster! Right now I’m working on setting my goals for 2019. If you’re doing the same, you might want to check out these posts on setting resolutions and goals. And if you’re a writer or a planner, make sure to sign up for my mailing list so you can get my free bullet journal printable. Not sure what a bullet journal is or how it will help you meet your goals? I have a whole blog series that covers the basics of bullet journaling, my magical monthly spread, and collections just for writers. Right now I’m participating in the 12 Days of Christmas Challenge for Writers. Each day there’s a small reflection. Yesterday I shared the Day 2 reflection on Instagram. Today is Day 3 when we share our writing successes for the year. All of them. In public. GULP. Although it makes me feel like a Braggy McBraggypants, I decided to bite the bullet and submit to my blog. Not because I want others to pat me on the back, but because acknowledging my successes is important for me personally. Writing can be an emotional roller coaster, and most (all?) writers struggle to keep up their confidence and resolve in the face of constant rejection. Having the courage to openly acknowledge our accomplishments helps us see ourselves as successful and capable – things we need to keep going in this pursuit. Published my second kid’s book! Wrote FOUR Work For Hire picture books which is double my previous yearly total. I have two more due in 2019. Got to be a visiting scholar! I spent 4 days teaching college classes, giving an invited talk, and joining in on lab meetings. My first career was in academia, so I had a blast! Blogged book reviews (almost) every month! Got 52 rejections! (That includes agents, editors, mentorship programs, awards, etc.) Here’s why getting a lot of rejections is a good thing for writers. Submitted to award and mentorship programs for the first time. In Pitchwars, I got two requests and a champagne rejection for my middle grade novel. Did a major overhaul of my author website. Did a blog tour for my new book. Wrote 13 new picture book drafts as part of 12×12. Finished Renee LaTullipe’s Lyrical Language Lab course which was excellent. Attended one online conference, one workshop, and one regional conference. Kept up with THREE critique groups. Phew. Supported KidlitNation so they could host free monthly webinars and award scholarships so POC could attend a regional SCBWI conference. Did a webinar on KidlitNation. Had my middle grade novel beta read for the first time and got good feedback. I’m rounding up more Beta readers for after the holidays. Read 275 books this year! Usually, I hit higher numbers (500 in 2017) but after many years of focusing on picture books I made a conscious effort to read more MG this year since I write that as well. I’m currently at 73 books that are MG or longer and around 200 picture books. So the overall number is down, but I’m really happy with it. I won Storystorm in 2018! Ran an online accountability and support group and participated in another. Today I excited to share the third part of my series on bullet journaling: collections to add to your writing bullet journal. But before we jump in, if you aren’t familiar with Bullet Journaling read part 1. I’ll wait. Ok, ready to rock your bullet journal? Here we go! Just in case you skipped over the intro to bullet journaling (tsk tsk) – a collection is a place in your journal where you can gather together information around a theme — usually a page or a spread of pages dedicated to a particular topic. This post covers collections to organize your writing life. I have free printables of many of these collections in my Free Printable Bullet Journal Inserts. At the very front of my bullet journal, right after the Index and Calendex, is a spread dedicated to goals and the habits I want to form. That’s because I want to state up front what my intentions are for my writing life this year. I start there so that through the year, those intentions will keep me on the path to my goals. Be SMAART: If you’ve been a New Year Resolution drop out in years past (guilty), take heart. Research says if you set SMAART goals you’ll be much more successful. Check out these tips for setting goals. Take Control (when you can): Keep your goals firmly centered on the things you can control. You can’t force an editor to give you a book contract, but you can work your hardest to produce a book that will tempt them. Form Habits of Excellence: Big goals are accomplished by forming small habits. Books are not written in one day – the habit of regular writing is what gets you to THE END. The same applies to most other goals you might want to achieve. So think of what daily habits you can build to launch you to your dreams. Let’s face it: writing is hard. You spend years writing a book, then revising, querying, and more revising before you get the joy of holding it in your hands. That’s a long time to work for proof of your progress. Even if you’re early in your writing journey, you can still find a fair number of these to add to your list. There are a wealth of free webinars and other resources online to help you develop your writing muscles. You’ll be surprised at how long your list gets by the end of the year. I think every writer has had this experience: you’re trying to fall asleep or sitting at a red light and an amazing idea springs into your head. It’s so amazing that you’re sure you could never forget. Think again. I’ve been known to jot ideas on scraps of paper, in my phone notes app, or even send it to my husband as a voice-to-speech text — anything to get the idea down before it leaks out of my brain. But it’s easy to lose tracks of those ideas even when they’re written down, so later (when I’m not driving or trying to sleep) I move them to this collection. At the end of the year, I migrate these to Evernote to make them easier to find later. If you take your writing seriously (and you should), then you need to treat it like a business. These are collections you will want to have somewhere. I prefer to keep them in Google Docs or Evernote (mostly because I dislike copying over lots of data), but they could easily be collections in your bujo. In early 2018, I was struggling with finding a way to keep track of all my manuscripts. I wrote 8 picture book drafts in 2016 and 12 in 2017, plus I had a novel and a middle grade nonfiction book in the works. I was drowning in my own work! I came up with this simple list to track them. I list each manuscript with a status – work in progress, draft, done, or retired. In my post on my magical monthly spread, I discuss the writing process I use to keep track of projects. But not every project makes it to that list. This collection is where I track EVERY manuscript – even the ones that get tossed in a (metaphorical) drawer as soon as the rough draft is done. On retiring manuscripts: some manuscripts don’t work. One of my goals is to write 12 picture book manuscripts a year – not to produce 12 query-ready pieces. Only a few turn out to be gold nuggets, but ALL of my writing improves for the practice. At the end of the year, I migrate this list to Evernote for permanent storage. So I start the year with just the manuscripts I will be working on and add new manuscripts as I complete the first draft. If you have a blog, you can use your bujo for managing your blog. I keep a simple list of blog post ideas and use my blogging platform for everything else. Some bloggers prefer to use their bujo more heavily in blog planning. Need inspiration? Tiny Ray of Sunshine has an excellent post on organizing a blog with a bullet journal. There is a lot of information to track when you’re writing a manuscript: characters, settings, research, mentor texts, etc. In a later post, I will cover this topic in more detail but remember that you can always make a collection to hold all the information about your WIP. Or a collection for a particular type of information about your WIP – like a character sheet or scene list. Publishing a book is a big event in the life of a writer! It’s also a lot of work. There are a ton of things to do before and after. Even though I Pray Today didn’t come out until September of 2018, I was already working on marketing in January. I made this collection to hold onto all the information about the book release – including these notes from a meeting with my lovely editor and marketing director. It also housed the list all the things I wanted to do before the book released: a website overhaul, setting up a blog tour, etc. Later, the blog tour got its own collection where I kept track of dates, topics, and posts. As I cleared details with my hosts, I checked them off: when we agreed on a date, when we agreed on a topic, when the blog post was finished and sent off. A blog tour is a lot of work! When I plan to attend a conference or workshop, I make a collection to track all the pieces of information relevant to it: date, time, location, reminders, to do lists, etc. Bullet Journal Collections: This Collection is a place to gather information about the Wild Wild Midwest conference that I plan to attend. I’ve already got a spread for SCBWI’s Wild, Wild Midwest 2019 with the date, location, and registration date listed. (our regional conferences fill up FAST.) Later I will add more information I need to keep track of: the sessions I register for, the hotel I’m staying at, dinner dates with friends, etc. Like a conference collection, this is a place to park all the relevant information: time, date, schedule of events, contact person, payment, etc. In October of 2018, I got to be a visiting scholar at Purdue University for four days. I used this collection a lot that week! I’ve been writing a work-for-hire picture book series with the folks at Purdue University since 2016. Right now I’m in the middle of writing a second batch of books for the series. This deadline cheat sheet was so helpful for writing the first book that I copied it over into my 2019 bujo to keep it handy as I finish the next two. When I have meetings about my books (like the marketing meeting notes for I Pray Today above) or my contract work, I keep all the notes in my bullet journal. When the meeting is scheduled, I make it a collection so I can jot down all the relevant information (time, date, location, etc.) On meeting day, it becomes a place to jot down notes. Most writers are also avid readers. If you aren’t, you should consider picking up the reading habit since it will improve your writing. Many bullet journalers track the books they read or plan to read in their bullet journals. I prefer to use Goodreads since it’s less time consuming to keep track of the 300 or so books I read a year. If you have time fitting in reading, check out these six tips to squeeze more reading into your busy schedule. A critique group is a fabulous thing! As a writer, getting critical feedback from fellow writers is one of the best things you can do for improving your writing. I’m currently in three critique groups. That’s a LOT, and I need a way to keep track of it all. I give each group its own collection. In the header, I list the names of the members and the meeting schedule. Each month, I jot down what I submit and list each member who submits. As I do critiques, I underline or cross off the names so I can easily see which critiques I still need to do. I love writing challenges! They aren’t for every writer, but for me, they give me a push to achieve my goals. I give each writing a challenge its own collection. Here I can write any relevant information like deadlines, websites, etc. And since writing challenges often require writing, I put that here, too. Bullet Journal Collections: My 2019 collection for the 12×12 challenge. It’s immensely satisfying to see that all filled in at the end of the year. There are a ton of writing challenges out there – you could easily spend all your time on challenges and never do any writing, so be choosy. Pick the challenges that bring you joy and help you achieve your goals. I devised this spread last year to track my monthly progress in the 12×12 writing challenge. I write down the working title of each manuscript I write or revise as I complete them. When I watch a webinar and use one of the special submission opportunities, I check the box. It’s immensely satisfying to get to the end of the year and see this page all filled out. I have a free printable bullet journal spread just for my fellow 12x12ers. Facebook groups, posting schedules, etc. If you need to track it, you can make a collection for it. There are some lovely examples like this one from Journal Tea. She explains the spread in a blog post on managing social media with a bullet journal. In 2018 I started reviewing books every month. As I was reading through the year, when I came across a book I loved I would add it to the list. I never had trouble coming up with topics! It’s super annoying to write one page only to realize it bled through the page and now the backside is unreadable. Grr. You can prevent this by testing each new pen or marker before using it in your bullet journal. Bonus: if you fall in love with a pen or ink, you have all the information to buy it again. Here’s the pen test page in one of my bullet journals. When you flip it over, you can see how much bleed through and ghosting you get from your pen. Note: Learn from my mistake. Don’t use the very last page, because when you flip it over, it’s against the dark cover, so it’s harder to tell how much ghosting you will get when it’s against a page. This year I’m using the second to last page. Now that you know how to use Collections in your bullet journal, you can download my free printable. It has many collections pre-made for you! Next time I’ll be sharing how I use a bullet journal to help me organize novel writing. Today I excited to share the second part of my series on bullet journaling: the monthly log that is the magic to the whole system. Now let me tell you how I got here. In late 2016 after a few years of working to build my writing career, I was finally getting somewhere. In September 2016 my first book, Goodnight Jesus, was published. That fall I also got to write my first Work for Hire picture books, the Little Elephants’ Big Adventures. Hurrah! But that also meant I had a lot to keep track of: marketing a new book, managing contract work, writing my own manuscripts, querying, seeking additional contract work, and on and on and on. I had also increased my writing output, but I was struggling to balance multiple projects. Which projects is still out to query? Which should I send to my critique group this month? And I had a great idea for a new manuscript – where did I put that? I couldn’t focus, and I wasn’t getting anything done. In short: I was swamped. I grabbed my bullet journal and made a monthly spread. I divided up all my tasks into different categories like marketing, submission, and writing. I also listed out every manuscript I was working on. All of them. And I categorized them based on where they were in the writing process. Suddenly, I could clearly see all the different moving part. I could zero in on the most important tasks and make plans for the future. And that paralyzing anxiety of too-much-to-do went away. Over time, I’ve refined this system, but the basics are the same. I divide tasks into categories and have a framework for managing multiple writing projects. At the top of the left-hand page, I list out my schedule and deadlines for the month. I love the Calendex, but I like having this right there, so I don’t forget things. Copying it over first, also means that I have a good handle on the month before I start making decisions on what to tackle. Business and Marketing: Writing is a business, and there are tasks associated with that: seeking new Work for Hire contracts, seeking speaking engagements, website work, and blogging. When I have a new book on the horizon, this section beefs up with all the marketing work involved. Submissions: Every month I submit to agents, editors, awards, etc. Here is where I can list what I plan to do for the month. Craft: I’m a big believer in continually learning and improving my writing. I aim to do some craft development each month. That could be something big like going to a conference or completing an online class. Or it could be small – reading a craft-focused book or watching a free webinar. Most months, I tackle items in each category. That means I’m continually moving forward on many fronts. Over time that adds up to a lot of progress. As I create this spread, I’m making many small decisions that help me set and achieve goals. For instance, in Business and Marketing this month I have blog posts to write (like this one! ), I need to gather up the last of my tax documents, and (time permitting) put together a page on my website about Author Visits. I also want to submit to Work For Hire publishing houses to drum up more contract work for the future. However, it’s not pressing (I’m booked out through February). Also, a peek at the Schedule at the top lets me know that I don’t have time this month. I could decide this goal isn’t worth pursuing and cross it off. Instead, I decided it’s still something I want to do… just not this month. The arrow signifies that I’m bumping it down the road to the next month. Similarly, this month I don’t have any Submissions listed. Although I try to submit each month, I know December submissions tend to languish while everyone is busy with holidays. So I decided to put my efforts towards other endeavors this month and hit the ground running after the new year. These small decisions stack up over time. I’m setting goals and intentions every single month. By the end of the year, it amounts to a substantial amount of work all of which is aligned with my goals. Most of the right page is used for what I call a Project Status. This is my lifeline for managing multiple projects. It’s an overview of all the manuscripts I’m currently working on, sorted by their present stage in the writing process. Simmer: I always write down story ideas when they come to me. I have long lists elsewhere in my bullet journal. The most promising get put here. I let these stew in my brain for weeks or months. That simmering time helps lets the idea-fragments coalesce into a fully-formed idea. Plus, after a bit of stewing, I can usually tell which are worth pursuing and which are… not. When ideas languish on this list for a long time, I know they aren’t worth pursuing. Write: These are the things I am planning to write this month. I pluck them from the simmer list, contracted work, or a new idea that’s too exciting to wait. I try to push a piece all the way through to a complete first draft before I set it aside. Then it moves to the Draft list. Resting Drafts: This is the where I place all the manuscripts that are written but not done. Resting is a vital step in the writing process. A bit of distance helps you critically evaluate your manuscripts. Revise: Most months I choose a piece from the Draft list for revision. I try to take it through a complete revision before setting it aside. I work over the whole manuscript focusing on just one aspect of revision. Usually, it ends up right back in the Draft list to rest before another round of revision. Very rarely do pieces graduate to the Done pile. Done: Every step up to here has resulted in manuscripts being culled. Some never make it through the idea simmering stage. Others I may revise multiple times before I realize they’re not workable – at least not right now. But those that make it through the process end up here. These are the manuscripts I consider to be as complete and polished as I am capable of making them. They’re the ones I’m currently querying (that’s the Q designation). Even still, I will occasionally decide that a manuscript is just not publishable right now. Then I drop them off the list. Once in a while I will review a retired manuscript I find a new angle for it. MAKING A PROJECT STATUS LIST: Each month, I’m considering and critically evaluating the manuscripts on this list. Done: I start with the previous month’s list. I copy over anything that is Done. Occasionally, I decide that a manuscript needs to be retired. Usually, this is after I’ve queried it and not gotten any bites. Since these are the pool of manuscripts I’m currently submitting I made a simple designation to show what’s been queried ( -> Q) and what has been subbed elsewhere (like to awards and grant programs). Revise: I look at the list of Resting Drafts from the previous month and decide which is most promising to Revise this month. I try to keep this list short – one or maybe two picture books a month is about what I can handle. This month is a little longer because my novel is with a Beta reader. I’m not doing active work on it, but it’s not exactly sitting in a metaphorical drawer either, so I listed it here with a note that it’s out to a Beta reader. Resting Drafts: I copy over the rest of the items that are in the Resting Draft stage. As I do, I consider if these are workable or if they need to be retired, too. Sometimes I will include a note about a manuscript. I have one draft that I think may be better suited as a poem than a picture book. Write: I consider the ideas on my Simmer list from the previous month. I look at the list of story ideas and choose the most promising to write into a new draft. Again, I try to keep this list short. This month I have one picture book listed. I’ve also started listing blog posts or other non-book writing here. I don’t put my non-book writing through this full process, but it’s a reminder so I don’t bite off more than I can chew. This whole process takes me just a few minutes. But as I go I’m making small evaluations (Would this work better as a poem? Is this idea worth pursuing? Which draft do I want to make each month?) And those small decisions mean that I am setting goals (like what I will write) and critically evaluating my work. This month I have a work for hire picture book due and another one to begin. With blog posts, that’s more than enough for a busy holiday-filled month. Starting with the Done and Revise manuscripts means that I’m focusing on pushing manuscripts toward the finish line. (Instead of continually producing new drafts that don’t get anywhere. The last thing I do is to make a quick list of the month’s top priorities. By this time, I’ve made all my decisions about what to work on. I like having a handy list where I pull those top tasks from the different parts of the monthly spread. Now that you know how to use my Magical Monthly spread, you can download your own copy here. In the next post on Bullet Journaling for writers, I’ll be going over collections just for writers.